Afghans consider both China and India to be trustworthy neighbors. Together, they can help ensure Afghanistan’s future. I was recently invited to a track 1.5 China-Afghanistan-Pakistan symposium on “Tackling Terrorist Threats, Jointly Safeguarding Regional Security” in Beijing. The rare trilateral symposium was welcomed by the three sides as a good opportunity to exchange views and to offer tangible policy and operational solutions for the consideration of their respective governments to help them address jointly the intertwined threats of terrorism, extremism, and criminality in the region. Our discussions were especially constructive on the seminal role that major regional stakeholders can play to stabilize Afghanistan — but the absence of an Indian delegation was keenly felt around the table. Afghans consider China and India to be their traditional friends and trustworthy neighbors — ones which have increasingly proven to share their wisdom and wealth with others, who need them the most. The trilateral dialogue was a manifestation of China’s ongoing efforts to build confidence, friendship, and consensus among its neighbors for the pursuit of win-win goals against an entrenched zero-sum mentality, moving toward a shared future of sustainable peace, security, and stability throughout the region. Over the past 17 years, we have learned from international security cooperation in Afghanistan that without sincere, results-driven regional cooperation in the fight against terrorism with no distinction, it would be hard to secure the peace in Afghanistan. Indeed, a collective failure to defeat terrorism and to win the peace in Afghanistan would consequently entail adverse spillover effects, which could easily transcend borders, destabilizing the region and the world at large. But this shouldn’t be allowed to happen: China and India can help identify the challenges that confront regional stability and global peace and work with Afghanistan and other regional and international stakeholders to seize many existing opportunities to address them together. Indeed, the symbiotic relationships among these lethal networks of terror and crime involve mutual benefits in the form of facilities and capabilities like protection, logistics, financing, training, arms, intelligence, and safe havens. In the Afghan case, these enable the Taliban and the Haqqani Network to destabilize Afghanistan. And the ensuing regional instability has provided an enabling, operational environment for such terrorist networks as al-Qaeda, Islamic State-Khorasan Province (ISKP), the East Turkestan Islamic Movement (ETIM), Lashkar-e-Taiba (LeT), Tehrik-i-Taliban Pakistan (TTP), the Islamic Movement of Uzbekistan (IMU), and others to launch targeted terrorist attacks in the region and beyond. Moreover, since the security problems in Afghanistan are regionally rooted, China and India can do more to work bilaterally with each other and with Russia, Iran, and Pakistan to help stabilize and develop Afghanistan. 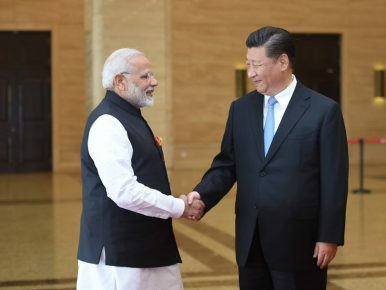 In this regard, Afghans welcomed the informal summit between Xi and Modi in Wuhan last April, when the two leaders agreed to cooperate in Afghanistan, co-implementing economic projects that can boost economic growth and strengthen human security in Afghanistan. Needless to point out, China-India joint stabilization and development efforts will achieve their shared longer-term goal of increased connectivity across the new and old Silk Roads, the heart of which is Afghanistan. Trilaterally, China can do more to use its good ties and leverage with Pakistan to encourage the incoming government in Islamabad to deliver tangible results on the peace and security progress that Afghanistan and Pakistan have so far made “on paper.” For example, the trilateral Afghanistan-China-Pakistan foreign ministerial meetings can serve as an effective mechanism to enable Afghanistan and Pakistan to make tangible progress on the key goals of the Afghanistan-Pakistan Action Plan for Peace and Solidarity (APAPPS): on the part of Pakistan to help ensure a significant reduction in violence by the Taliban across Afghanistan and to persuade the Taliban leadership to initiate or respond positively to a substantive ceasefire that enables results-driven peace talks for a durable negotiated political settlement. Multilaterally, China and India have a major opportunity to exercise fully their global leadership potential by effectively engaging with the member-states of the SCO and NATO to help translate the emerging regional and international consensus for peace in Afghanistan to end the imposed war there. In the Shanghai Spirit, China and India can work with other SCO member-states to facilitate and expedite Afghanistan’s full SCO membership, following the recent full admissions of India and Pakistan into the SCO. At the same time, China and India can help fully operationalize the Afghanistan-SCO Contact Group to support the Afghan-led peace process and to provide long-term resources for the sustainable development of Afghanistan with a focus on full-spectrum connectivity for regional peace and prosperity.